PezCycling News - What's Cool In Road Cycling : TDF’16 St.20: Basque Bravata – Izagirre Descends to Victory! 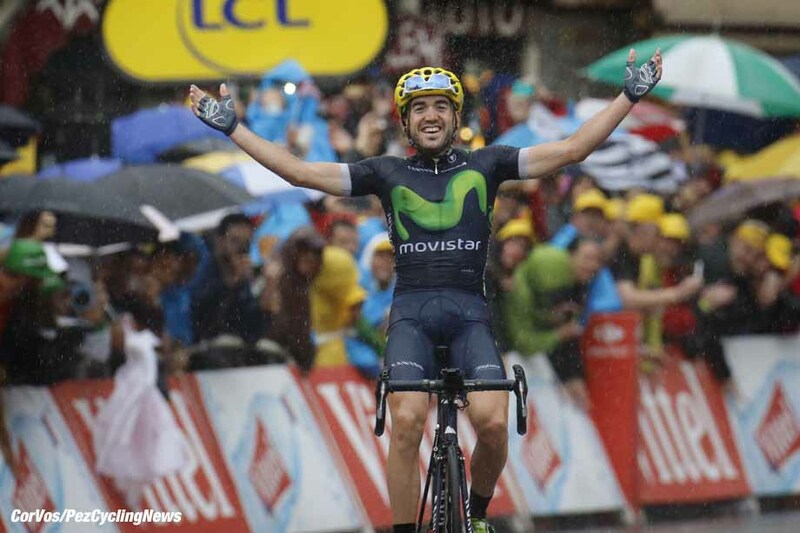 TDF’16 St.20: Basque Bravata – Izagirre Descends to Victory! Race Report: It was a day that should have been about the climbs but in the end it came down to who could go down hill the quickest and Movistar’s Ion Izagirre proved to be the very best, giving the Spanish their first stage victory in this year’s tour. Behind, all eyes were on Team Sky’s Chris Froome as he could finally relax, sure in the knowledge that he’s secured his third Tour win, and quite possibly the best one yet! With four major climbs on this penultimate day, and with the fight for the podium still very much alive, every rider was living in fear of the awesome Col de Joux Plane. 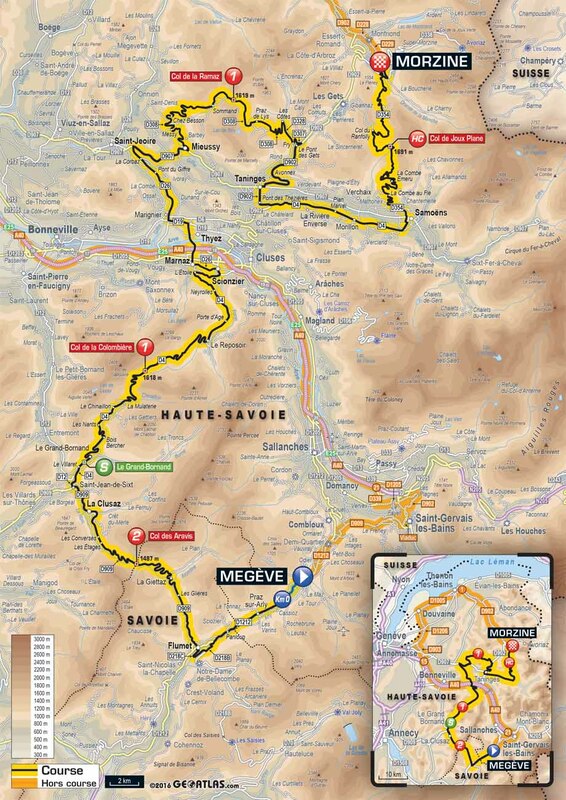 Former professional and KOM winner, Scotsman Robert Millar had this to say: "The final climb of the Joux-Plane was one I never ever mastered. Training or racing it always hurt me and then there’s the dodgy descent into Morzine. Survival will be the word of the day." Right from the flag dropping, riders were firing up the road in an attempt to get clear and perhaps set something up for later in the stage. It was an uphill start so the attempts seemed agonizingly slow but eventually a large group formed ahead of the race... and it was a quality gathering having several stage winners along for the ride. The large group at the front had some big names and some big-name helpers: Thomas De Gendt & Tony Gallopin (Lotto Soudal), Sergio Henao (Sky), Ion Izagirre & Nelson Oliveira (Movistar), Vincenzo Nibali & Jakob Fuglsang (Astana), Peter Sagan & Roman Kreuziger (Tinkoff), Ben Gastauer, Cyril Gautier & Alexis Gougeard (AG2R-La Mondiale), Wilco Kelderman & George Bennett (LottoNl-Jumbo), Frank Schleck & Jasper Stuyven (Trek), Jarlinson Pantano (IAM Cycling), Pierre Rolland, Tom-Jelte Slagter & Dylan van Baarle (Cannondale-Drapac), Patrick Konrad (Bora-Argon 18), Ilnur Zakarin (Katusha), Rui Costa (Lampre-Merida), Sylvain Chavanel & Fabrice Jeandesbosz (Direct Energie), Julian Alaphilippe (Etixx - Quick-Step), Nicolas Edet (Cofidis), Chris Juul-Jensen & Michael Matthews (Orica-BikeExchange). As they came over the summit it was Matthews who decided to go head to head with Sagan and De Gendt and take the point, and the break had a lead of 2:45 over the Froome (Team Sky) group. If there’s one element that blew yesterday’s stage apart it was the rain and while today’s start in Megéve had been dry, news was coming in that it was pouring down in the mountains. And true to form, as the riders headed back down, the skies opened and the rain began to fall heavily. Over in the Orica camp, there was a lot of disquiet about the time penalty handed out to Adam Yates on yesterday’s stage for receiving a hand-sling and while they accepted that the move had been wrong, they were concerned about the strict application of the rules for their rider when other riders had escaped punishment for hanging onto cars and motorbikes on the Ventoux. Either way, it’s been an exceptional Tour for the young rider from Bury in England and can only bode well for his future. Peter Sagan was doing a powerful amount of work on the front of the breakaway in aid of his teammate Roman Kreuziger and with the gap having pushed out to 5:20 Kreuziger was now closing in on Richie Porte’s (BMC) 5th place overall. In the yellow jersey group it was the strongest man in the race Ian Stannard (Team Sky) who was watching the clock and keeping his leader Froome in the right place, and safely in the lead. Over the top of the Colombiére De Gendt nipped ahead to take the points but it was situation normal as Sagan led on the descent. The rain had lessoned by this time but we hadn’t seen the last of it for the day. With a number of riders just sitting in, others began to think of the stage win, and there was a shark in their midst. Vincenzo Nibali was keen to salvage something from this tour but back in the peloton, or what remained of it, Team Sky had been replaced at the front by the massed ranks of Astana, in support of Aru and his overall ambitions. So Nibali for the win and Aru for the general classification because as it stood, with a 5:30 gap, Kreuziger was on the Paris podium. The break split on the descent of the Colombiére as Sagan continued to push. Onto the lower slopes of the Col de la Ramaz and riders such as Rui Costa were finding the going hard and began to struggle. And suddenly it was all over for Sagan at 63km still to ride as he sat up, job done for the day. Behind, Sky had also lost their strong man Stannard in similar circumstances. At the head of the race Nibali attacked taking several riders with him aware that the second group on the road led by Rolland was begin to claw them back. More confusion behind in the peloton as AG2R-La Mondiale had also come to the front even though they had Gougeard up in the lead group. All of the favorites were safe in that group except Bauke Mollema (Trek-Segafredo) who now watched the peloton, and his hopes of a high finish in Paris, begin to slip away. Closing in on the top of the Ramaz and Alex Gougeard had clipped off the front, Nibali content at this stage to let him go. His moment of glory didn’t last long though as he was reeled in just as the two groups merged... and then De Gendt attacked on his own. This was a serious attempt from De Gendt and he was chased by Rolland and Rui Costa, with the rest of the remaining group further back. De Gendt was in a similar position to Britain’s Steve Cummings having missed out on Olympic selection and had a point to prove to the Belgian selectors. 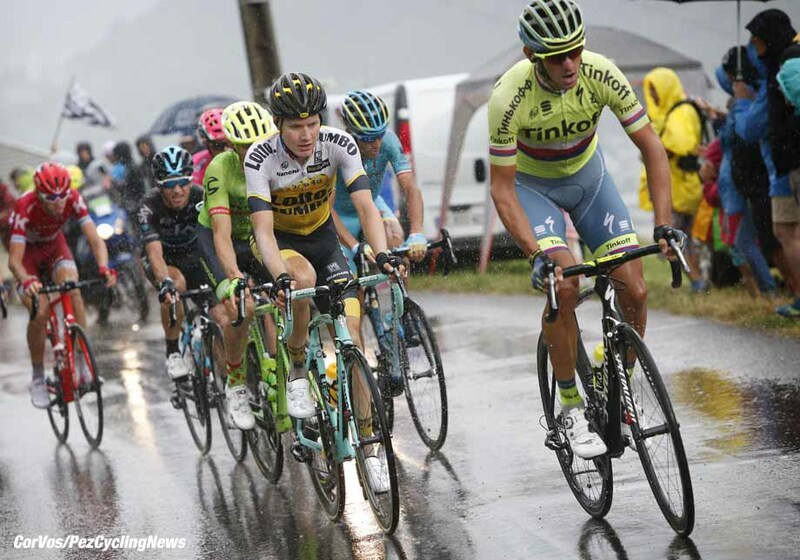 Into the rain and De Gendt was looking strong as he cruised over the summit of the Ramaz. 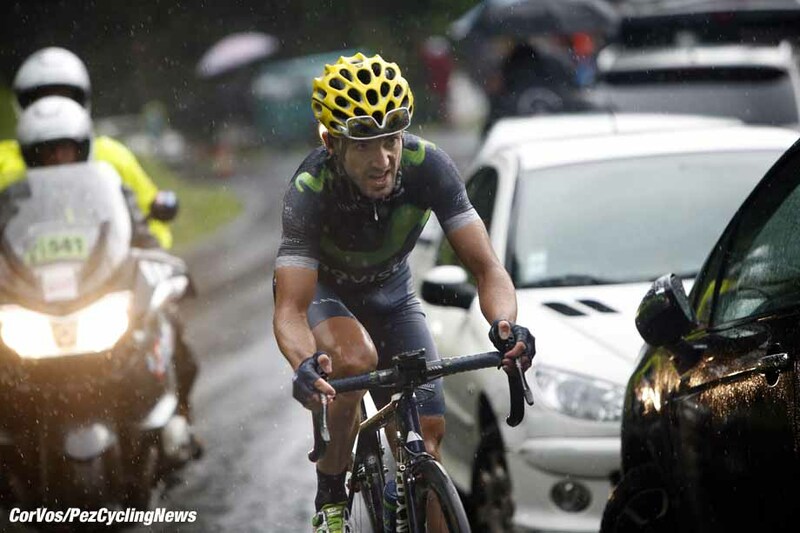 The organizers had put out a warning on race radio about conditions on the descent with ‘extreme caution’ advised. With Astana back at the head of affairs in the peloton, the gap had been reduced and Kreuziger no longer threatened the podium ambitions of the other GC riders. De Gendt had taken advantage to head out on his own. As De Gendt gingerly picked his way down the mountain in the pouring rain he was caught and passed by Pantano and Alaphilippe who were descending without a care in the world. They forged ahead as behind Rolland lost contact with the others taking the most horrible lines through the rain-soaked bends. 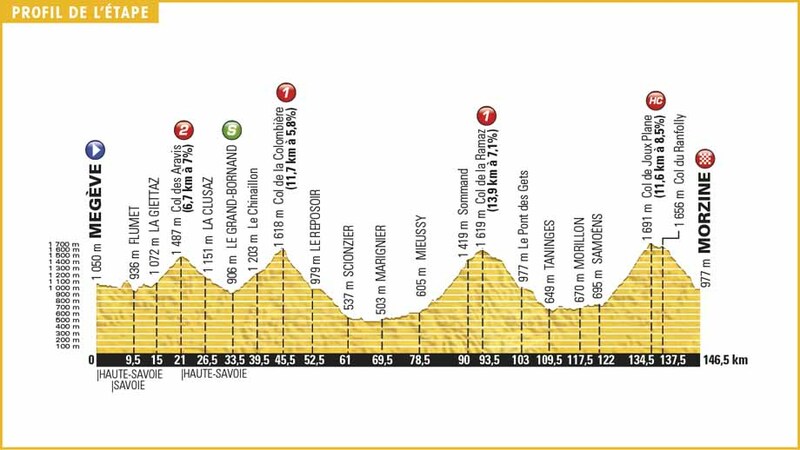 The two were now onto flat and, more importantly, dry climbs as they sped to the base of the final mountain in this year’s Tour with a gap of 37 seconds over the chasers and 7:02 back to the Froome bunch. And this meant that Kreuziger was back in the hunt for the podium so the reaction had to come. Astana had been at the front on the descent but had slowed the race massively allowing the break to gain time, perhaps in support of Nibali. With that in mind Orica now sent two riders to the front in an attempt to push Astana off the front. With the reduced pace, Mollema had made it back to the group. The chase group had a lot of firepower with Kelderman, Nibali and Kreuziger all looking to win and move up. Sky had Henao along as a policeman but they weren’t chasing yet and the two leaders were now 1:11 ahead of the chasers. AG2R-La Mondiale had joined the head of the bunch but it needed more input from BMC and Movistar as everyone tried to keep their energy reserves for the final climb. It was now down Kreuziger to attempt to get, and keep, the gap if he wanted a step on the podium. Nibali and the others were simply thinking about the stage win but Kreuziger had bigger ambitions. They would have to climb well, and descend even better though if they were to overhaul the fast-flying duo of Alaphilippe and Pantano up ahead. Kreuziger was doing all of the work to get up to the lead pair with 8km of the climb left and the gap was 1:11. Back in the peloton Team Sky was at the front shepherding their man up the mountain as Orica’s Daryl Impey turned himself inside out for Yates. And then Mollema attacked! He’d been off the back and was now off the front in a show of pride as Astana’s leader Aru cracked and went out the back. Nibali, an ace climber and arch-descender, had sensed a weakening in Kreuziger and made his move to get across to the leaders and take the stage on the descent to Morzine. Nibali was hunting the leaders down as Rui Costa also decided to ride away from Kreuziger, the Czech rider now no longer a threat to the podium with Sky riding behind. Alaphilippe had been told that Nibali and Rui Costa were coming and he made a strong acceleration, momentarily dropping the Columbian. If they stayed together it was all going to come down to who showed the least fear, and had the most luck, on the descent. Alaphilippe had twice ridden away from Pantano and twice Pantano had come back to him. And then the familiar strains of Jaws as Nibali glided through the gloom. The two leaders were taking turns attacking each other but as Nibali joined them he attacked straight away as each of them fought for a gap before the summit. Mollema had been reeled in but it was 'Purito' Rodríguez, riding his final tour, who now rode off the front of the peloton. Nibali had the gap and was riding away from the young guns with 3km to the summit and 15km to the finish. 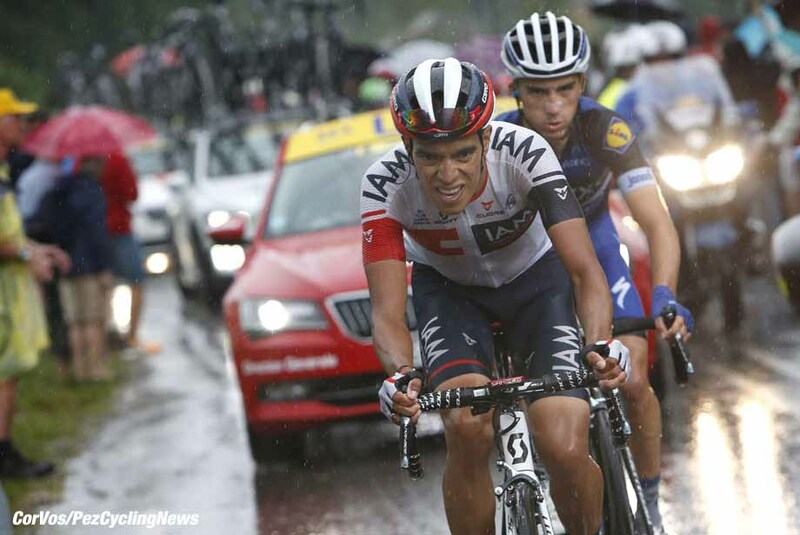 Rodríguez had joined his teammate Zakarin and had a 40-second advantage over the peloton as he rode for a top-ten position overall. Ion Izagirre (Movistar) had ridden up to Alaphilippe and Pantano but his sights were on Nibali as he went right on over, taking Pantano with him but with Alaphilippe unable to respond. One kilometer from the summit and Izagirre and Pantano had made it up to Nibali and it would all come down to who descended the quickest. Team Sky, led by Geraint Thomas, had been winding it up behind and the gap was now down to just over 3 minutes with Zakarin and Rodríguez chasing the leaders in between. Over the top of the false flat, the Col de Ranfolly, and it was Izagirre who took off first. Pantano, left leg out like a Moto GP rider, almost overcooked it and Izagirre had a gap over the other two. One of the best descenders, Nibali was passed by a quickly recovering Pantano and he was gapped as the Columbian set off after the Spanish rider. With victory so close, the Sky-led peloton was taking it very easy. With too much to lose, Roman Bardet was content to hold station and take second overall. Up ahead Pantano was closing in on Izaguirre and they were taking the most amazing chances on the curves, 10-seconds the gap between them. Izagirre was now on the little rise but he knew he had the gap over Pantano and he took a superb win for the Spanish Movistar team, having made the move at just the right time. Pantano followed him across the line just a handful of seconds later with first Nibali and then Alaphilippe soon after that. Rui Costa and then Kreuziger made it in with Kelderman spinning to the finish, clearly having been on the tarmac at some point. Finishing on his own, in his final season, was the little man from Barcelona and Rodriguez finished ahead of a chasing peloton as Dan Martin led home a smiling Chris Froome who could now believe that he’d won his third Tour de France in the most attacking style yet. 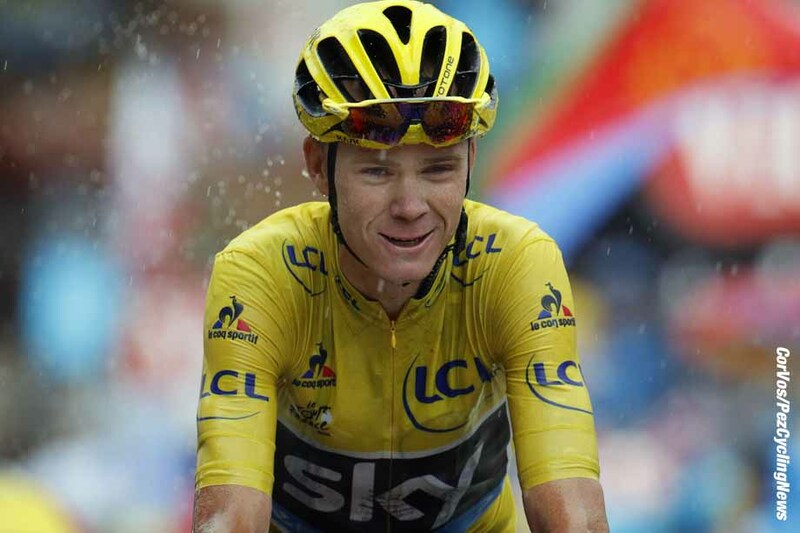 With everything now over bar the parade lap tomorrow into Paris Chris Froome has ridden a superb race, taking every advantage to outfox his rivals in ways that he’d never tried before. We’ll be talking about this Tour for some time to come but there’s still a stage victory to race for on the Champs Élysées tomorrow so keep it PEZ for all the final action. 25. Thomas De Gendt (Bel) Lotto Soudal at 5:42. 25. Ilnur Zakarin (Rus) Katusha at 56:33.